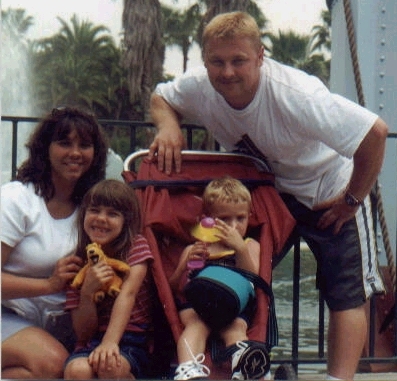 Here is a picture of Me and My Family,it was taken June ,2000 at MGM Studios in Disneyland(Orlando,Florida). Tammy is on the left,then Shelby,Then Brayton and of course me(Paco). 4 star scale,5 being Excellent. that flower,go smell it and don't pass by that mud puddle,run throught it..
Life is just too short,enjoy it. If you wanna Email me,Just Click on Superman.